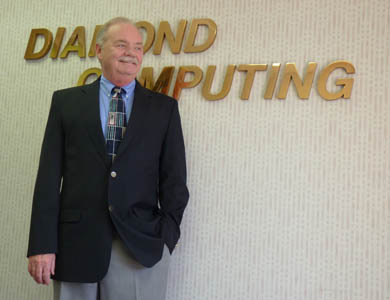 Diamond Computing is headquartered in Atlanta, GA. Founded in the early 1980's, Diamond has been providing automated solutions for laboratory management for over 30 years. LabGEM LIS is our core product, a dynamic full featured laboratory information system that continually adapts to the requirements and needs of a changing healthcare environment. Flexibility and customization is the emphasis at Diamond Computing. Whether your lab is big or small, LabGEM scales easily to your work volume. If you have special needs or processes, even client-specific rules or exceptions, LabGEM is designed to handle it. Our goal is to make your lab more efficient and more profitable, to help you grow your business. Working with our customers to provide a solution that matches workflow and resources is something we take great pride in. LabGEM can be purchased as an integrated platform or by module. Our lab billing system can interface to your LIS. Our LabGEM LIS can interface with your billing service. Our EMR engine can provide order/result streams to external systems. If your laboratory has a need, we will work with you to provide a solution. Every installation of LabGEM includes WebGEM, the companion web portal application. Accessed through a link on your own lab's website, WebGEM gives your doctors and clients access to their own results at any time. Inquiry, Report Delivery, Statistics and Remote Order Entry functions are all integrated into WebGEM for your client's convenience. WebGEM can also be configured as a Remote Service Center for your own offsite locations and personnel.